Starting in Germany in the 16th Century the mandola has impacted music for centuries. 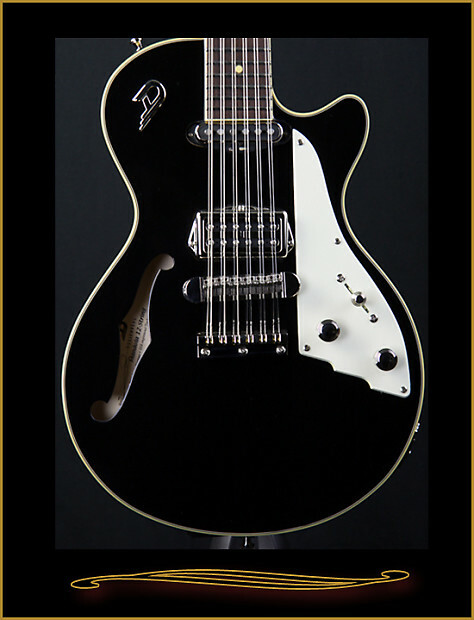 And now Duesenberg has modernized that tradition with the electric Mandola 12-String. This little beast features a 39cm = 15.3 inch scale, with a set in maple neck into an alder body. 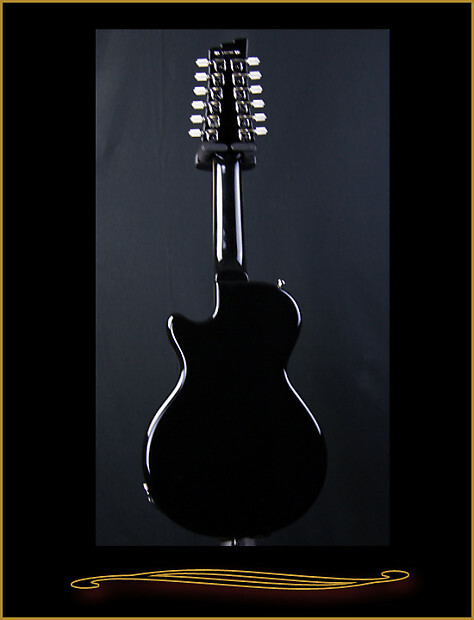 The Mandola comes with Duesenberg's new Toaster pickup in combination with a small Duesenberg single coil. Duesenberg Z-Tuners with round buttons and the full adjustable 12-string bridge, will allow you to set the perfect intonation on each string. This new Mandola guitar will give you a new tool in your Duesenberg arsenal. Twelve strings and a shortened scale of 39 cm (15.5 in.) 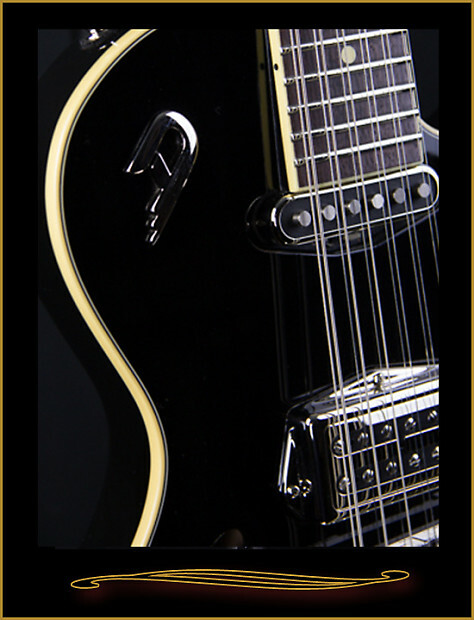 are two of the most noteworthy features of the Duesenberg mando guitar. This combination makes the Mandoƒ? ?s sound incomparably brilliant and provides it with enough charm to break open the gates of heaven in nearly any musical context or genre! The Little Toaster and singlecoil pickups are precisely right for this kind of penetrating sound, which possesses bell-like clarity and brightness in every band context. 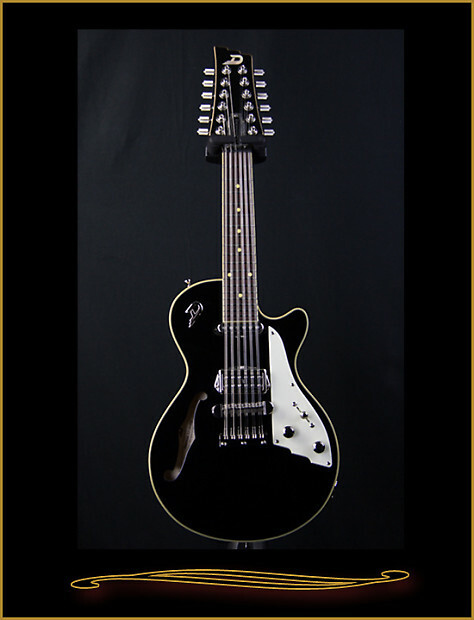 The modern Duesenberg Z Tuners with ridged cylinder-shaped knobs, as well as the 12-string bridge enabling octave purity through the individual adjustment of each string, ease the life of a 12-string mando guitarist to an enormous degree. Scale length:	390 mm / 15.35"
Body?ÿSize:?ÿ39,5 x 28,5 x 4,2 cm / 15.55" x 11.22" x 1.65"